Top Animation News: Apple’s animation, Annecy, Alex Clark and more! Top Animation News is a weekly column that rounds up the biggest, best and breaking stories from the world of animation. This edition covers March 09 to 16, 2018. 1. Apple is producing its first animated series. Just over a week after Amazon announced its entry into adult animation with Undone, tech giant Apple put the word out that it will be streaming its own cartoon: Central Park. The two-season, 26-episode straight-to-series order is being produced in partnership with 20th Century Fox and is helmed by Bob’s Burger creator Loren Bouchard, who co-wrote it with Nora Smith (Bob’s Burgers) and Josh Gad (Frozen). Central Park is an animated musical following a family living and working in the eponymous New York park. Venture over to Apple’s Central Park on “Film School Rejects”. 2. Vancouver Toon Boom Animation Career Camp is fully booked. The second Toon Boom Animation Career Camp will held March 17 to 18 in Vancouver at the Vancouver Film School (151 W Cordova Street). 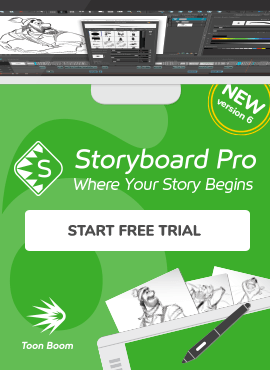 The event series teaches professional animators the future-proofed, specialized skills, steps and strategies needed to increase their opportunities and earnings today, and secure them for tomorrow. This weekend’s Vancouver Animation Career Camp is fully booked, though upcoming editions in Paris, Dublin and London still have (limited) space available! For more information or to register, head over to the Toon Boom Animation Career Camp page. 3. Annecy 2018 to have 130 shorts in competition. Annecy International Animated Film Festival 2018 (June 11-16) has announced its first round of official selections, with 130 short films headed for the competition. They were selected from over 3,050 submissions from 93 countries, with France, the U.S. and the U.K. being the most represented. Broken down into categories, there will be 46 shorts, eight off-limits, 18 perspectives, 10 young audiences and 48 graduation films. To see the full list and for more on Annecy 2018, head over to “Cartoon Brew”. 4. YouTube star Alex Clark explains gun control with cats — and Harmony. 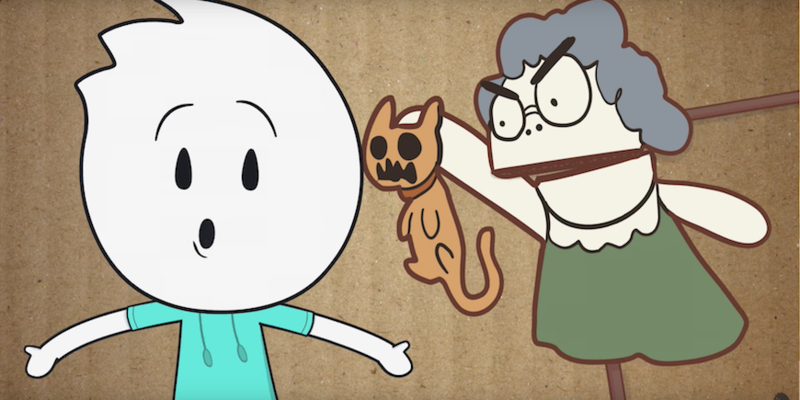 It is impossible to avoid conversations surrounding gun control in the United States at the moment, and American Youtube animation star Alex Clark (@ItsAlexClark) has summed up his sentiments on the issue using cats as an analogy for firearms. While NRA advocates might not be purring over his views, everyone can agree he communicated them clearly. As with all his videos, Clark produced Guns Explained With Cats in Toon Boom Harmony 15. Watch Alex Clark’s Guns Explained With Cats above or read the full story on “A Plus”. 5. Cartoon Movie sees record participation. The 20th Cartoon Movie earlier this month had more than 900 attendees (a 20 percent growth in two years) from 41 different countries, including 257 buyers, 126 distributors and sales agents. The European pitching event, held in Bordeaux, France, showcased the continent’s perpetually promising animation industry and gave a platform to 60 new projects. This year’s edition saw Spain take centerstage, with the Cartoon Movie Tributes awards going to the teams behind Loving Vincent (Directors of the Year), Latido Films (Distributor of the Year) and Another Day of Life (Producers of the Year). Get the full Cartoon Movie 2018 rundown on “Animation Magazine”. 6. Snapchat’s animated series premieres March 17. Highly Gifted may be a reason to download Snapchat again. The eight-episode 2D animated series is from identical twin comedy writers and cartoonists Jeremy and Daniel Lehrer, and is a semi-autobiographical take their years as socially awkward adolescents. With a star-studded cast including singer Kesha, actor Drake Bell and Oscar-winner Nat Faxon, Highly Gifted can be watched weekly on Snapchat’s Discover page. Stream all the Highly Gifted details on “Deadline”. 7. Experience Oregon as… an anime? While most outside Oregon know the state for its landscapes and laidback lifestyle, its latest tourism campaign may replace those perceptions with giant rabbits and caterpillars. Yes, really. In an anime style akin to Studio Ghibli, Only Slighted Exaggerated is a short by Wieden + Kennedy Portland and Psyop that aims to buck the trend on travel campaigns — namely, that they all look the same. By using animation, and maybe a little #fakenews, the video manages to disrupt the industry and capture the imagination. Be transported by Only Slightly Exaggerated above and get the full trip on “Adweek”. 8. Irish animation sets its sights on Canada. The animation sector in Ireland has exceeded an impressive €100 million, leading to export-driven economic gains and employment. The country’s co-production treaty with Canada has aided in that, with the most recent example being critical darling The Breadwinner (produced in Storyboard Pro). Given the Great White North’s animation abilities and values, it’s only natural for Irish content to not only be well-received in the nation, but also co-created there. See the thought process behind Irish-Canadian animation on “Independent.ie". 9. Meet Aurora, Ireland’s first animated VR short. Produced by Dublin’s Pink Kong Studios, Aurora is Ireland’s first venture into the animated Virtual Reality (VR) market. It premiered last month at the Audi Dublin International Film Festival (ADIFF) to massive acclaim, proof that the technology can connect with audiences meaningfully and emotionally. Aurora was produced in four months and Pink Kong has already begun work on its next animated VR piece. Have a look at the Aurora trailer above or read the full story on “Animation World News”. 10. Animation in Nigeria is getting the recognition it deserves. Nigeria has its own homegrown film industry, colloquially known as Nollywood, though animation in the nation has often been overlooked. Short films like Dawn of Thunder may be changing that. Produced in the capital city of Lagos by Komotion Studios, artists there are using cartoons to tell ancient African tales with modern-day technologies, with potential massive economic and cultural benefits. View the video above from “BBC Africa”. Banner image source: ItsAlexClark Youtube.